Lord Browne of Madingley About Lord Browne Lord Browne of Madingley: Welcome! What’s so interesting about Lord Browne? 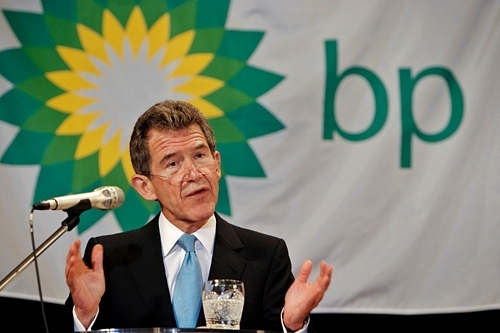 Lord Browne is the millionaire businessman and ex-CEO of BP whose proposals about education are aimed at turning UK education into a business. See the Browne review here (Warning: it’s pretty dull reading and also strangely nonsensical – more on why later). He also has a formal role in the current government advising on efficiency measures. We have chosen to dedicate a website to Lord Browne not because he is the devil incarnate, or because any one individual is the problem in our political system, but because we believe he symbolises much of what is wrong with politics both in the UK and across the world. Lord Browne, being a businessman, could be expected to write a report as a businessman and in this sense cannot be blamed for his crippled imagination when considering the future of education in the UK. What is interesting about him is the question of why his advice is valued by politicians. Or to put it another way: what do we value when we value Lord Browne? Since the Browne review was commissioned by Labour and implemented by the Conservatives and Liberal Democrats, and since Browne was knighted by Labour and now has a formal role in the current government, it seems reasonable to say that Lord Browne and his policies appeal to all three major parties in the UK. So who is he? Where does his power come from? And why do politicians like him so much?